We were impressed with Microsoft when it announced the release of its Xbox Adaptive Controller, a device for gamers with disabilities. And now? Well, color us even more impressed after seeing how the company designed the controller’s packaging to be easily opened by people with limited mobility. The box was created by Mark Weiser, a designer at Microsoft. He worked together with Scott Wang – a design researcher at Xbox – to ensure that gamers and disability advocates were consulted throughout the process. Many of these individuals gave valuable feedback to the design, with the major feedback being that the box shouldn’t require people to use their teeth. With this in mind, Weiser created packaging that involves lots of simple steps, rather than a few complex ones. On top of this, loops became central to the design, as these are easy to use for people with limited movement. 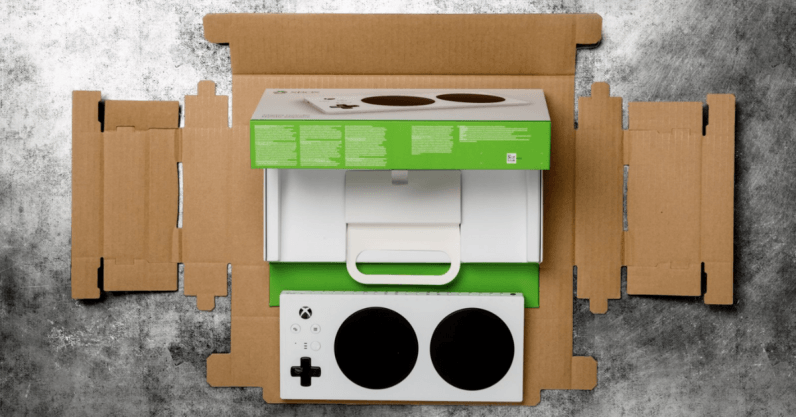 I also appreciated that Microsoft focused on making the box just as accessible as the Adaptive Controller, as I feel this is something that can regularly be forgotten in the process. Honestly, huge props to Microsoft for this. Seeing projects like the Xbox Adaptive Controller come to fruition by themselves is great, but observing the care the company puts in to the whole experience is genuinely heartwarming. The Xbox Adaptive Controller is being launched in September and will cost $99.99. And, if you’re interested in a more detailed breakdown of the design process, you can head over to Microsoft’s site here.